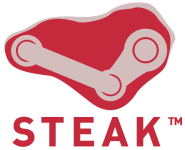 Steam’s player statistics were taken down the other week, to a small amount of wailing and teeth gnashing in the forums. Now they’re back, and better than ever. Because every damn game on Steam is up there. Impulse isn’t inspiring much writing from me at the moment, but CD Projekt’s freshly-announced Good Old Games is another story.